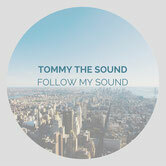 News - De website van tommythesound! Follow My Sound Radio Show Episode 33 April 2018 online! Hi everybody, my new Follow My Sound Radio Show is online! You can check my MIX or Soundcloud for the show inlcuding the tracklist, enjoy! Follow My Sound Radio Show Episode 32 March 2018 online! 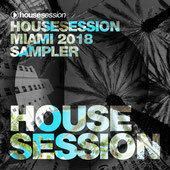 My new track 'Shake It Down' will be released on the brand new Housesession Miami 2018 Sampler. But wait there is more, it will be the first track on this compilation. Follow My Sound Radio Show Episode 31 February 2018 online! some piano-infected House Music that comes with addictive melodies, a tense build-up and a massive energy! as Future House or even EDM'. Follow My Sound Radio Show Episode 30 January 2018 online! Follow My Sound Radio Show Episode 29 December 2017 online! Follow My Sound Radio Show Episode 28 November 2017 online! Follow My Sound Radio Show Episode 27 October 2017 online! Hi everybody, my new Follow My Sound Radio Show is online. You can check my MIX or SOUNDCLOUD for the show including the tracklist, enjoy! Follow My Sound Radio Show Episode 26 September 2017 online! 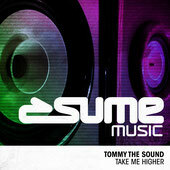 Hi everybody, a brand new release is coming up on Housesession's imprint Sume Music. Follow My Sound Radio Show Episode 25 August 2017 online! Follow My Sound Radio Show Episode 24 July 2017 online! Guestmix Tommy The Sound @ Earthquake Mix DJ Lynnwood online! Hi everybody, I did a guest Mix @ DJ Lynnwood's Radio Show 'Earthquake Mix'. I did some serious damage on Lynnwood's radio show, Los Angeles. You can check my guest mix here: MIXCLOUD or SOUNDCLOUD. Follow My Sound Radio Show Episode 23 June 2017 online! Hi everybody, my new Follow My Sound Radio Show is online. You can check my MIX or SOUNDCLOUD for the show including the tracklist, enjoy! Hi everybody, my new groovy disco house track is out now exclusive on BEATPORT hope you like this groovy & uplifting one! Hi everybody, my remix is out now exclusive on BEATPORT hope you like this uplifting and banging one! Hi everybody, this month I will drop a uplifting my house remix of the German duo Mark Bale & Roger Horton on the label Housesession (9-6-2017). On Sume Music (Housesession) I will drop a brand new groovy and uplifting disco track 'Into The Deep'. This one will be available on 15-6-2017. More info soon! Follow My Sound Radio Show May 2017 online! Follow My Sound Radio Show April 2017 online! Follow My Sound Radio Show March 2017 online! Follow My Sound Radio Show online! Hi everybody, my new Follow My Sound Radio Show is online. Check my Mix or Soundcloud for she show including the tracklist, enjoy! Not one, not two but three new releases are coming up on the German label Housesession. More info soon! This Saturday there will be some serious radio takeover on the Dutch radio. I will host an extra Follow My Sound Radio Show (live). Together with my buddies DJ Kurt, DJ La Parra and Sebastiaan Hooft, we will bring you the finest house and grooves to uplifting banging club beats. Hi everybody, my new show is online. For ore information please check my SOUNDCLOUD / MIXCLOUD or FACEBOOK page. Enjoy! Hi everybody, here you can find the guest mix I did in Cashmere Jaxx radio show Guestmix enjoy! I will do a guest mix at Cashmere Jaxx's 'Heartbeat Sessions' on the 20th of January. I am very happy to announce that my new website is launched. For questions, demo', promo's or bookings, please check the 'contact' page.